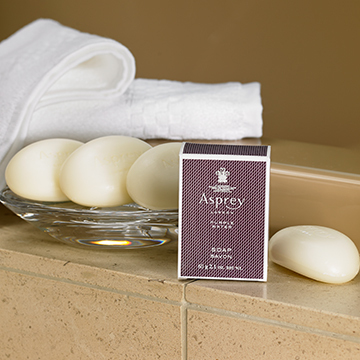 Luxuriate in this citrus, spicy scent by Asprey London. Refresh your morning, embrace the day ahead. 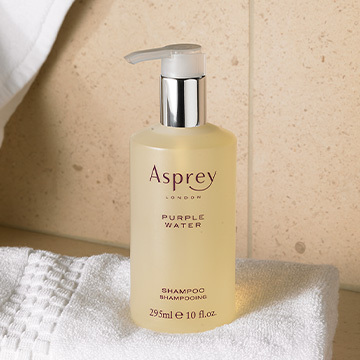 A moisturizing blend of essential oils nourishes body and mind. 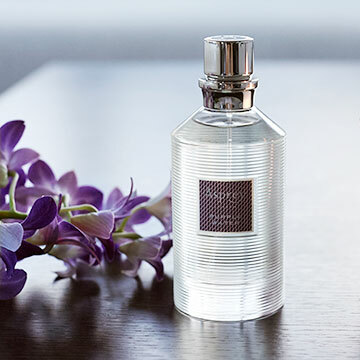 Show off your natural shine with our signature scent. For a radiant afterglow that lasts throughout the day. Awaken your senses with this uplifting citrus blend. Soften your hands and soothe your mood with this rich blend. 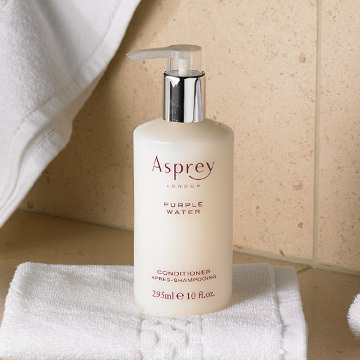 A frothy, fragrant lather that’s terrifically moisturizing. The perfect little package for travel and gifting. An intoxicating blend of orange flowers, ginger and lemon. 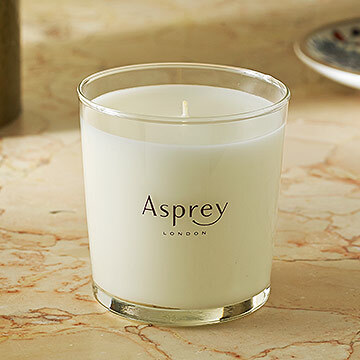 Steeped in a heritage dating back to 1781, Asprey is considered one of the world’s most revered luxury goods houses, known for its exacting approach to craftsmanship and design. Together with The Ritz-Carlton, they both share a history of excellence that is synonymous with luxury and refinement. 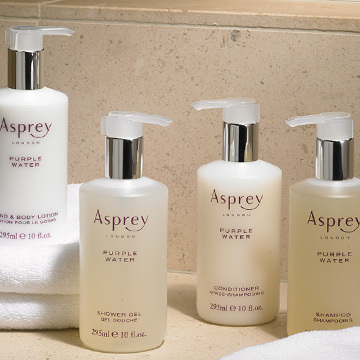 Discover timeless treasures with the Purple Water Collection.